WHAT WAS THE APPSUMO OFFER? The Appsumo offer was lifetime access to PRO plan for up to 3 users (coworkers) in total. 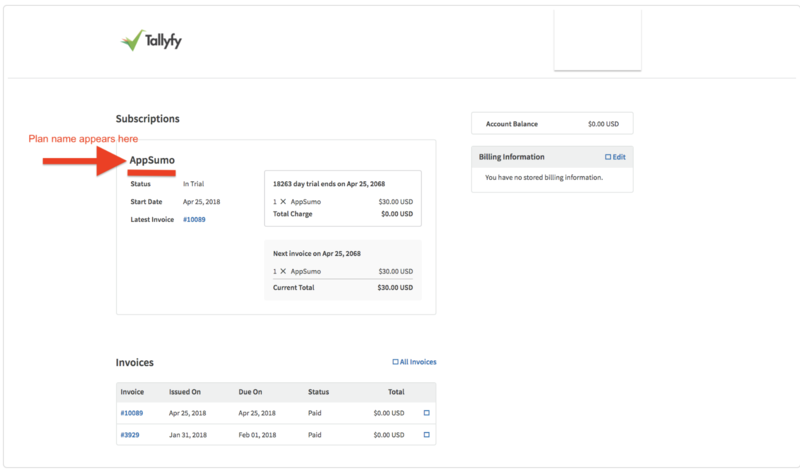 Being on the Appsumo plan means you will be charged $0 for 3 users on the PRO plan for life (Usually $90/month). 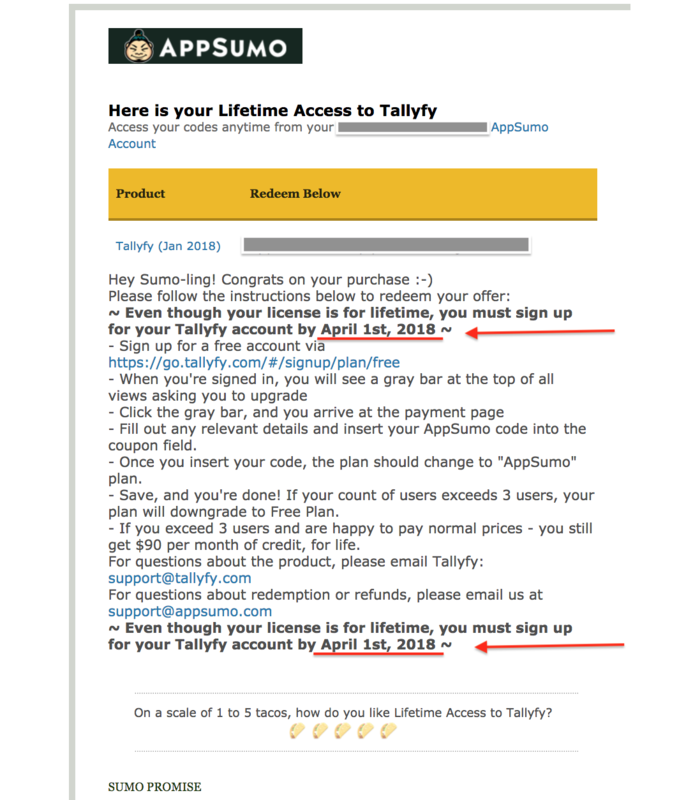 You must have signed up to a Tallyfy account and redeemed the coupon before April 1st 2018. (Please see FAQ no.8 below for where this expiry date is seen). Please contact support@appsumo.com for refunds. At present we do not accept any AppSumo coupon codes. 2. How do I know I am on the PRO plan? Please see here. 3. Can coupons/deals be stacked? No. You can only utilize one coupon code per organization. For example, you can not buy 8 AppSumos and get 24 (8 x 3) users free for life. 4. What happens if I want to add more than 3 coworkers? You can do this by paying for additional coworkers. Please contact Tallyfy Support and they will help you with this. 5. Are the extra Add-ons, Services and Enterprise features included? No, the Appsumo plan only includes features on the PRO plan. You can purchase additional services and add-ons.